The first season of Netflix’s Daredevil was the best TV superhero drama in years, perhaps ever; the second was an entertaining mess. 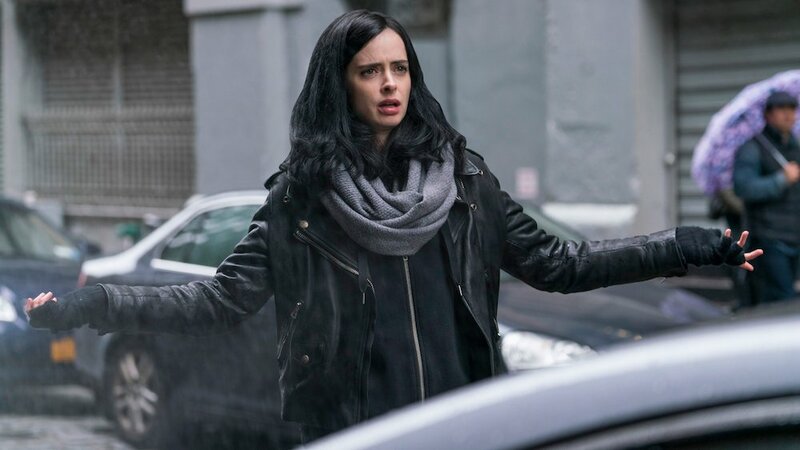 Jessica Jones told a confident story with an unforgettable mind-controlling villain, all while subverting cliches surrounding female protagonists. Luke Cage delivered an intoxicating Harlem atmosphere of hip hop music and amber-tinged cinematography, but it had issues with pacing and a choppy story. Iron Fist was, frankly, terrible. 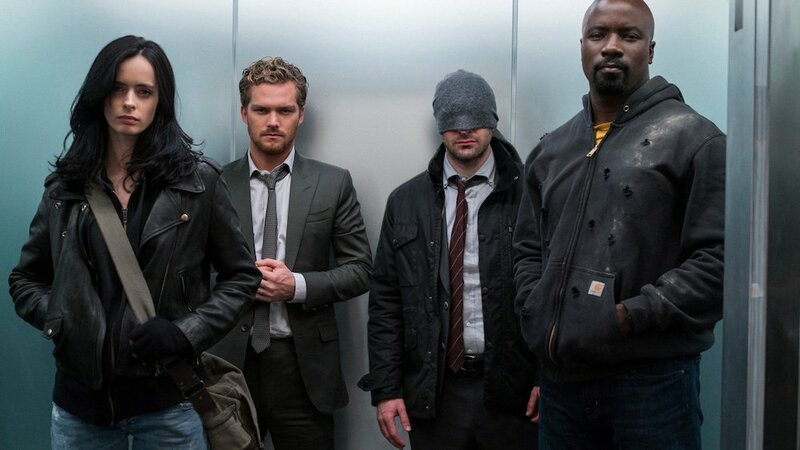 The prospect of seeing blind superhero Matt Murdock/Daredevil (Charlie Cox), private investigator Jessica Jones (Krysten Ritter), invulnerable Luke Cage (Mike Colter), and kung fu master Danny Rand/Iron Fist (Finn Jones) come together for a shared adventure, was the goal behind all four series when Netflix announced their partnership with Marvel Television. The reality of The Defenders is less than super. I got a third of the way into Iron Fist before giving up, so it was frustrating to realise how much impact that character and its mythology has on The Defenders. However, one saving grace is that each character is ignorant of a few others in the pack, so it’s easier to piece things together alongside them if you’re behind the curve. I’m sure The Defenders works best for those who’ve spent the full 65 hours with these characters in their separate adventures, but I think you could get away with only watching Daredevil. Well, if you’re prepared to be slightly miffed by the backstories of everyone else, and what the hell K’un-Lun is. Set shortly after Daredevil season 2 and Iron Fist, The Defenders is basically a sequel to both that drags bulletproof Luke Cage and super-strong Jessica Jones into the fray. They’re useful during ninja sword fights, which break out a lot in this universe. Ostensibly, we have a mystery to solve concerning terminally ill businesswoman Alexandra (Sigourney Weaver), whom we learn is one of the “five fingers” of shadow organisation The Hand. She has a plan to use the prophesied warrior ‘Black Sky’, Elektra Natchios (Élodie Yung), to defeat her enemies ahead of gaining access to a prized “substance” using the fabled Iron Fist. It takes a long time to outline what The Defenders is actually about, despite it being unremarkable claptrap, which is part of the problem. 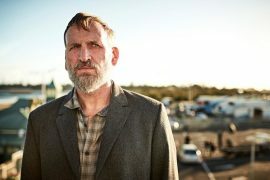 There isn’t much depth to this miniseries, which also feels low-key and the opposite of the “event television” it should have been. There are a few notable deaths, but they land with disappointingly low impact; more like desperate, late attempts to stir some drama into a narrative vacuum. There is fun to be had in seeing this super-gang eventually meet, banter with each other over a Chinese meal, and agreeing to combine forces to defeat a common enemy… just not as much as one would hope. Jessica has a few early moments where her street-smart snooping is required, but she otherwise shrinks into the background as a Robert Downey Jr.-esque element — cracking wise about the preposterousness of blind ninjas, undead girlfriends, immortal villains, and dragon skeletons. Before slugging some anonymous henchmen across the room with a mean right hook. What’s disappointing is there was a chance for The Defenders to be enormous fun through Eastern mysticism clashing with the no-nonsense attitude of New Yorkers. If only it had opted to become Big Trouble in Little China with “street-level Avengers”, but everything lacks imagination and creativity. And perhaps enough budget, as it’s very underwhelming on a visual level. A lot of scenes take place indoors, with characters just sat around talking, which is a pity considering the previous shows made hay with location shooting outside in the actual New York City. I presume it’s the fiscal downside of having to pay every lead to appear together in the same shop, on top of the services of a screen legend like Sigourney Weaver. 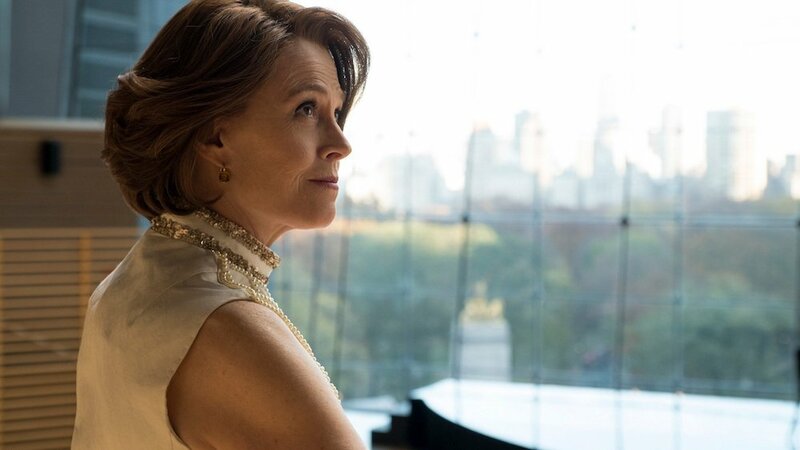 Speaking of whom, I’m a huge fan of Sigourney Weaver, and it makes sense for her to transition into TV now, because there sadly aren’t many good roles for mature women in Hollywood. She isn’t terrible in this underwritten role, but the character of Alexandra isn’t memorable, and that’s unforgivable considering these Marvel-Netflix shows have given us Vincent D’Onofrio, David Tennant, and Mahershala Ali as well-rounded villains. Weaver is mostly required to behave enigmatically, with tedious nods to the blindingly obvious fact Alexandra’s been alive for centuries. And with her core mystery proving rather dull and predictable, her sickness going largely forgotten about, there’s really only a half-decent mother-daughter dynamic between her and Élodie Yung to explore. That angle’s not too bad, but it isn’t given enough time to develop, which sours the dark resolution to it. One common problem of these Netflix-Marvel shows is stretching a story across 13 episodes, as they all could’ve done with being a third shorter. A promising feature of The Defenders is only having 8 hours to tell this story, but that brevity just brings up another problem. 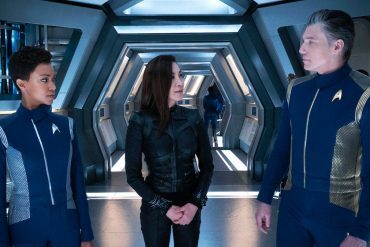 The writers clearly had to streamline everything and remove any bloat, but they’ve ended up with a miniseries that’s much too thin in terms of narrative meat. In some ways, it’s merely a protracted explanation for the “big pit” that appeared towards the end of Daredevil season 2, and is otherwise chock full of genre cliches and things we’ve seen countless times before. The dead loved-one returning to life through supernatural means, suffering from amnesia and brainwashed to side with the enemy, but perhaps our hero can turn them back to the light by stirring memories of their love for each other? Don’t we see variations of this idea every few years on some comic-book show or another? 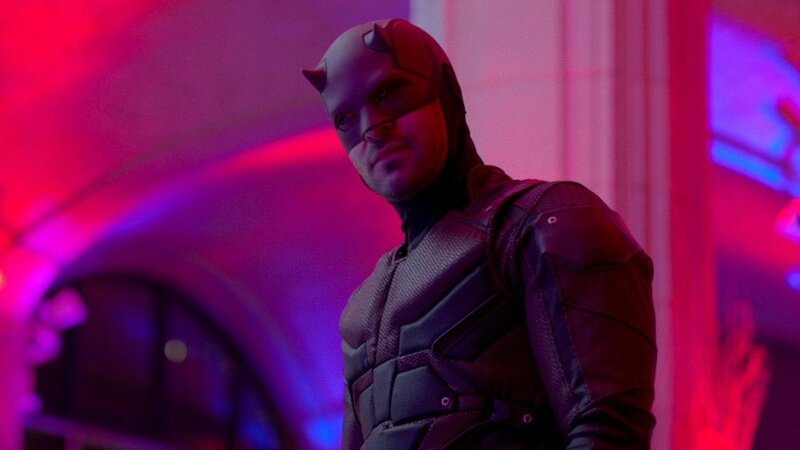 Douglas Petrie and Marco Ramirez are the showrunners behind The Defenders, and they were also responsible for Daredevil’s scattershot second season. This is a noticeably worse experience than that, although I was pleased some of my issues with Iron Fist were resolved by making Danny Rand more intentionally brash, arrogant, and often a dangerous liability who means well. There was a perverse pleasure in seeing sulky Danny Rand being treated as the young upstart who doesn’t think things through. I still think it’s a mistake the character isn’t being played by an Asian actor, and question why they even have a kung fu expert in a team including Daredevil (it’s like pairing Batman with Green Arrow), but his lameness was acknowledged and formed part of the storytelling. 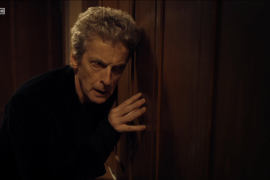 I even came to like him a little more by the end, weirdly enough. Maybe I’ll give Iron Fist season 2 a try. Maybe. Otherwise, Petri and Ramirez have a clearer vision for what the Daredevil characters are up to during The Defenders, and I hear they ran these scripts past their fellow showrunners from the other series. That probably helped keep some uniformity with dialogue, but it’s still obvious Luke Cage and Jessica Jones are misplaced in a story involving deadly ninjas and ancient prophecies, and it’s disappointing their mesmerising chemistry apparent in Jessica Jones has gone MIA. In summation, The Defenders has the good grace to be a relatively short and painless experience, and things do improve in the sprightlier second half. 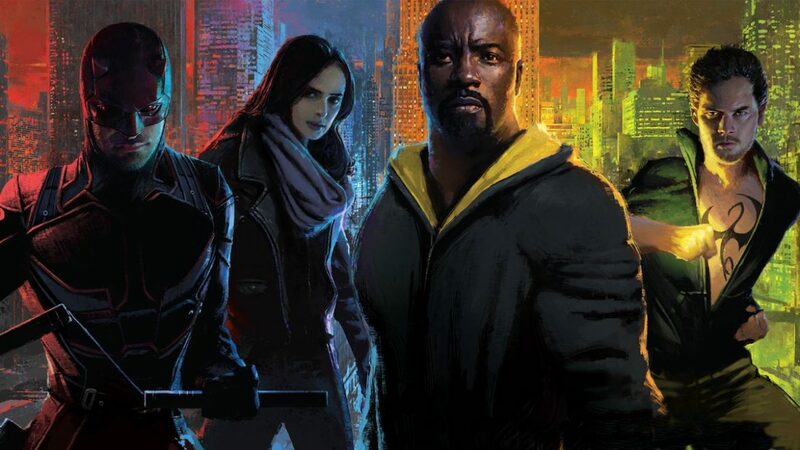 But as the big pay-off for a well-received attempt to create an interconnected ‘pocket universe’ within the larger Marvel Cinematic Universe, The Defenders is something of a damp squib. It feels more like a little something to keep the fans happy this summer, as they await The Punisher and Jessica Jones season 2, than a big celebration of what’s been achieved up until now. And maybe the simple novelty of seeing superhero crossovers has finally exhausted itself, five years after The Avengers. writers: Douglas Petrie, Marco Ramirez, Lauren Schmidt Hissrich & Drew Goddard. directors: S.J Clarkson, Peter Hoar, Phil Abraham, Uta Briesewitz, Stephen Surjik, Félix Enríquez Alcalá & Farren Blackburn. starring: Charlie Cox, Krysten Ritter, Mike Colter, Finn Jones, Eka Darville, Elden Henson, Jessica Henwick, Simone Missick, Ramón Rodríguez, Rachael Taylor, Deborah Ann Woll, Élodie Yung, Rosario Dawson, Scott Glenn & Sigourney Weaver.